Tokyo-based Toshiya Hayashi and Hokuto Ando partnered up in 2013 to form design studio we+ where they continue to explore new applications for basic materials. 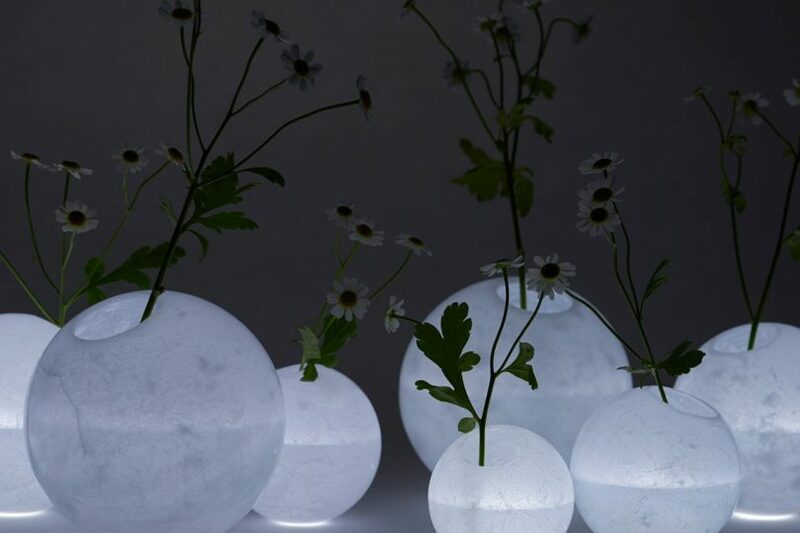 Their latest rethinks wax into moon-like Disguise vases that cast light through their textured shells. Disguise is a series of orb-shaped vases created layer by layer with wax, rotating around and distributing the wax on the interior surface. The results are textured on the inside and when filled with water, rippled light appears as the LED light underneath hits the shell.